The glut in homes priced below RM300,000 is due to their “wrong” locations, reiterates the National House Buyers’ Association (HBA). 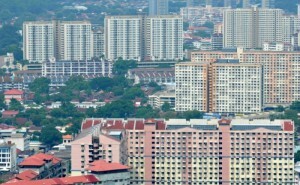 In response to calls made by the Penang Real Estate and Housing Developers’ Association (Rehda) for urgent measures to be taken to alleviate the current property glut, especially residential properties priced below RM300,000, HBA secretary general Datuk Chang Kim Loong said many properties in this segment are not selling because they were not built in the right location. “Back to the current glut of affordable properties under RM300,000 as claimed by Rehda, perhaps Rehda can clarify whether such properties meet the location criteria,” Chang said in a statement today. In a news report yesterday, Penang Rehda also said middle range properties priced between RM600,000 and RM800,000 in good locations are still selling well. “This seems to imply that properties that are below RM300,000 are located in less desirable locations and hence cannot attract enough buyers. The fault would then lie with the developers and not on stringent loan criteria imposed by banks (as claimed by Rehda),” Chang commented. According to Chang, the US sub-prime crisis which lead to the Global Financial Crisis was due to three factors that happened concurrently – overpriced properties, slowing economy and loans given to less credit worthy applicants. “Malaysia has not met the (last) criteria as banks have always practised good credit evaluation. If banks are forced to relax credit criteria and give loans to those who would not otherwise qualify and if these group of borrowers subsequently default, it can lead to a banking sector collapse which will destroy the entire economy,” he warned. He added that it was easier to get housing loans back in 1999 or even up to 2012 because the ratio of property price to income was manageable. “The reason why banks are rejecting applicants as claimed by Rehda is not due to stringent loan criteria but the fact that the property price is beyond the income capability of the applicant. Banks are in the business of accepting deposits and giving loans and making a profit in the process and would not reject a credit worthy customer. “It is time for Rehda to face reality and start building more properties that the Rakyat can afford to buy. As for the current glut, the developers can either give more discounts or perhaps launch their own “Rent-to-Own” programme to help the lower and middle income groups,” Chang said. City planner is to be blamed, approved too many projects without assessing the demand. Anyways, should let the market decide itself, when no one wants to buy, the developers will stop building. Easy. True, city planner is to be blamed. Look at all those empty offices, commercial units and abandoned shopping malls. They should plan better than this. Wasted the space in a small island. Developers didn’t do market research, thought all buyers are water fish. please survey the majority family income first before define so call “affordable” house. The glut is not only in the gov affordable segment, but also private non-affordable segment. So the glut has nothing to do with the way gov defines “affordable”. As for the grouses about the unaffordability of “affordable homes” in the 300k category, it is in my opinion in fact a good scheme as the prices range from 150k to 300k. If you cant 300k, go for 150k lah, wtf? Having said that, I do believe the gov needs to rebrand those 300k affordable homes so that those who can afford wont think its too low class for them, while those who cannot afford wont think “why this low class property so expensive”. A slight name change to “executive A-condo” might just do the trick, A for affordable of course. developer should just build flat instead of condo, take out the swimming pool, escalator, landscaping, gym, security…………you pay peanut ,you get monkey..
“affordable” is not something Gov nor Developer define. should base on what local people income could afford & willing to pay if they are the project target customer. What? 150k also cannot afford? No problem, go for 75k unit lor, theres somethig for everyone. Developer never target to sell their houses to low income group. That’s fact. They targeted those waterfish flippers. How to give 12 months bonus to staff and 24 months bonus to upper management if sell cheap? Greedy developers lah are to blame. Now they keep cry father cry mother for help. need to state it clearly the Sf of the house and what sort facilities given. don’t always talk about the price. pricing will be just developer interest talk. I can give u 500sf house and few only facilities with 250K selling at simpat Ampat ten tell u this is affordable house.